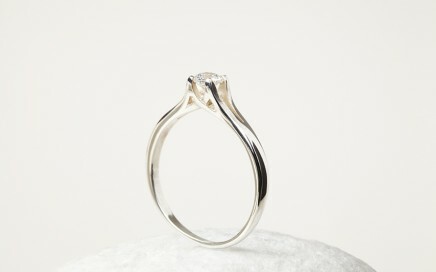 A delicate band that is slender at the top getting thicker as you move down to the bottom of the shank. The brilliant cut certified Jeweltree Diamond is set in 2 types of claw setting one has waves coming down from the top of the diamond. 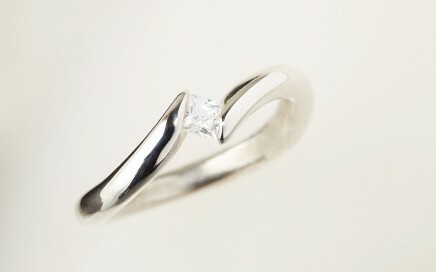 The other is plain, leaving gaps so light can entre and give the diamond even more brilliance! Prices start from £1195 for a 0.14 carat (3.4mm) set diamond or £1585 for a 0.24 carat (4mm) set diamond in 18ct Fairtrade Gold. Made with Fairtrade Gold, this beautiful square or Princess cut certified Jeweltree Diamond is 3mm or 0.16 carat in size held in tension by gold arms that are 3mm round with a gentle taper. 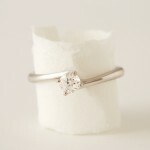 The princess cut diamond is set so both tapered ends hold the diamond. 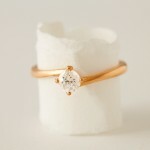 This lovely ethical engagement ring is highly polished and available in different colours of Fairtrade Gold. 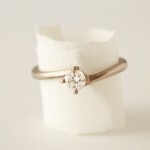 Crown ring setting providing a classic style for this ethical engagement ring. 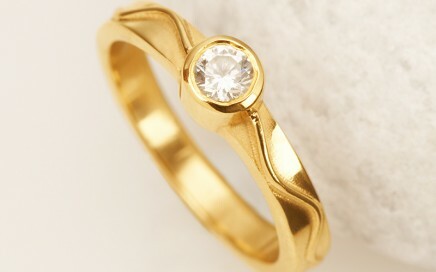 An elegant Fairtrade Gold 4 claw setting showing off the round brilliant cut certified Jeweltree Diamond. 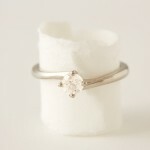 Prices start from £1480 for a 0.14 carat (3.4mm) or £1785 for a 0.24 carat (4mm) diamond available in Recycled/Fairtrade gold. Stunning white Fairtrade Gold engagement ring with two waves holding a brilliant cut certified Jeweltree Canadian Diamond. 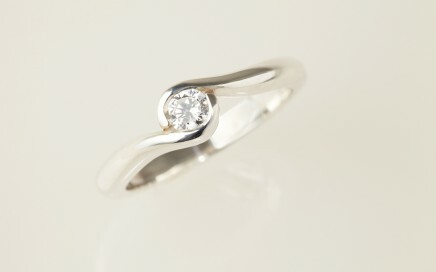 For this stylish engagement ring, prices start from £1550 for a 0.14 carat (3.4mm) set diamond or £1750 for a 0.24 carat (4mm) set diamond in 18ct Fairtrade Gold. 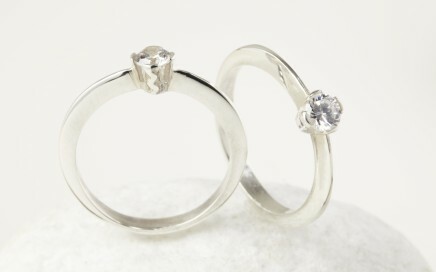 A beautiful twist to a classic style. 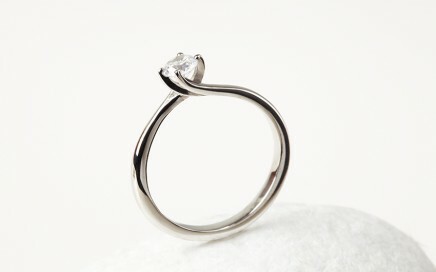 This elegant Fairtrade Gold classic styled solitaire engagement ring in white gold has the 0.24 carat Canadian brilliant cut diamond stone clasped in a twisted claw. 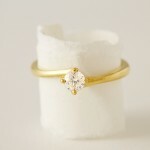 For this lovely ethical engagement ring, prices start from £1,259 for a 0.14 carat diamond or £1625 for a 0.24carat set in 18 carat Fairtrade gold. This Fairtrade Gold engagement ring has an open setting to allow maximin light to hit the brilliant cut certified Jeweltree Diamond. From the tulip setting a small wave tapers down the sides giving it a natural feel, inspired from the north coast of Devon. 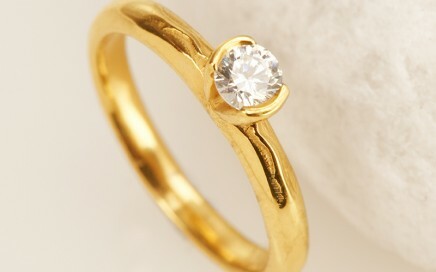 Prices start from £1795 for a 0.24 carat (4mm) set diamond in 18ct Fairtrade Gold. 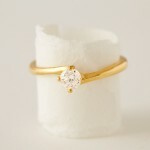 Styled in Fairtrade Gold with the attractive clean wave lines from the setting gives this ethical engagement ring a handcrafted and contemporary look. Inspired from the north coast of Devon. Four delicate claws hold this beautiful brilliant cut certified diamond in a basket set with waves from the top to the bottom. This Fairtrade Gold engagement ring is inspired from the North coast of Devon, the Certified Jeweltree stone is set slightly higher than some of April’s other rings ensuring the beauty of the diamond is reflected in optimum light. 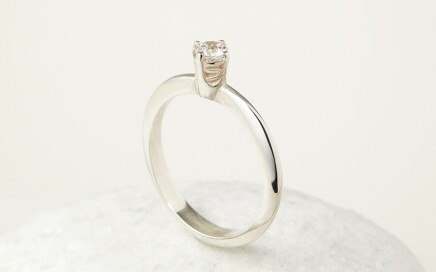 Prices start from £1,225 for a 0.14 carat diamond or £1689 for a 0.24carat set in 18 carat Fairtrade gold.